Pros - Well made, comfortable, available in both pleather and velour material, & available in various colors. Thanks to Brainwavz for the review samples of the HM5 pleather and velour earpads replacement! These replacement earpads are meant for Brainwavz HM5 headphone, but Brainwavz told me, size wise, they are compatible with other headphones from other brands, such as Audio-Technica ATH-M50 and the variant. I tried, the earpads, size wise also compatible with ATH-MSR7. I don't have Brainwavz HM5 headphone, so I will test it with ATH-M50LE and ATH-MSR7. Sorry the color of the pleather pad is rather off on the pictures. The correct brown color of the earpad is close to the first picture. Both the pleather and velour earpads are the same size, and they are larger and thicker than the M50LE and MSR7 original earpads. 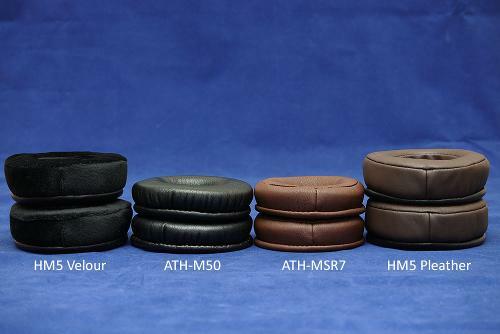 Size wise they are compatible with both ATH-M50LE and ATH-MSR7, and due to larger size and thicker pads, they are generally more comfortable than the stock earpads. 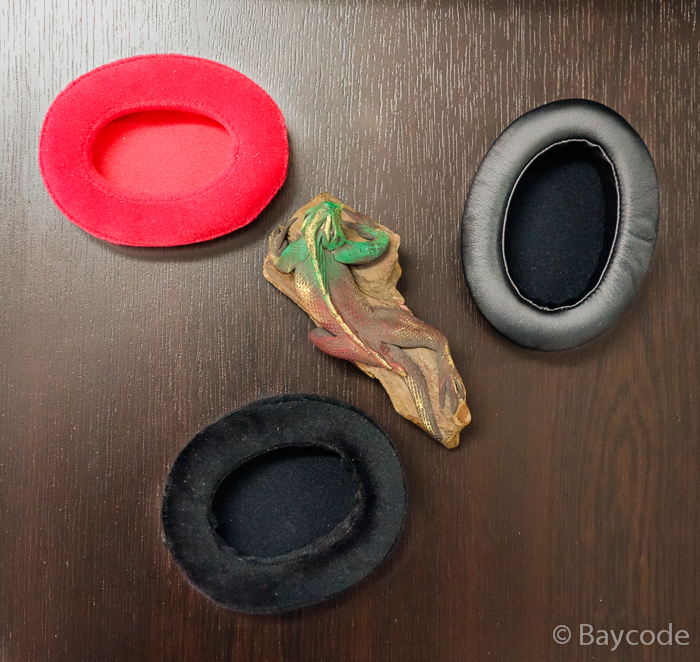 The velour earpad is more comfortable than the pleather earpad, but generally both are comfortable. Reduces the overall loudness by around 3 dB. Reduces the midrange level, and a little bit of bass. Midrange sounds recessed, resulting a V shape tonality. Vocal becomes slightly more prone to sibilant. Overall tonal balance is still relatively acceptable. Reduce the overall loudness by around 5 dB. Reduce the bass and lower midrange area quite significantly, around 6 dB, resulting bright tonality, with thin and bright midrange, and lacking in bass. Overall tonal balance is not acceptable. Reduces the overall loudness by around 2 dB. Reduces the midrange level, and a little bit of low bass. Midrange sounds recessed, resulting a V shape tonality. Vocal becomes slightly more prone to sibilant. But the effect is less than when compared to the Pleather earpad on MSR7, less V shape tonality. Overall tonal balance is still acceptable, more acceptable than the sonic changes by the pleather earpad on MSR7. Reduce the overall loudness by around 4 dB. Sound wise, the sonic changes by the pleather earpad is generally more acceptable than the velour earpad. The velour earpad makes the M50LE and MSR7 sound too bright. Those are good quality earpads, and designed best for Brainwavz HM5 headphone. DangerClose, Pokemonn, Hi-Fi EDU and 1 other person like this. Intro: Brainwavz aftermarket Headphone ear pads are custom made ear pads for HM5 headphones and many other similar sized headphones. In case of HM5, These ear pads will bring a positive sonic change and overall improvement in soundstage, tonality and naturalness. 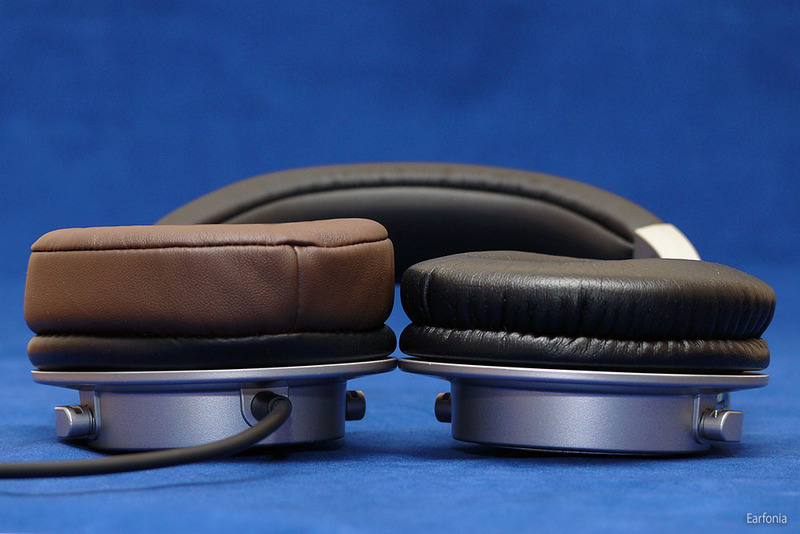 There are two types of ear pads available, one is pleather type other is velour type. 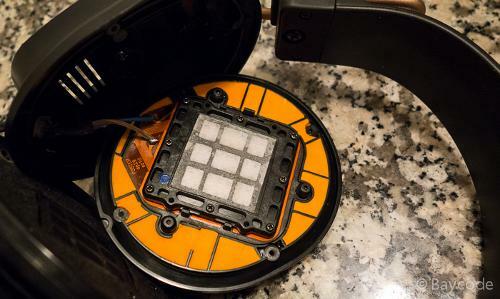 1) Detach the current ear pads from driver assembly by giving them a circular twist. 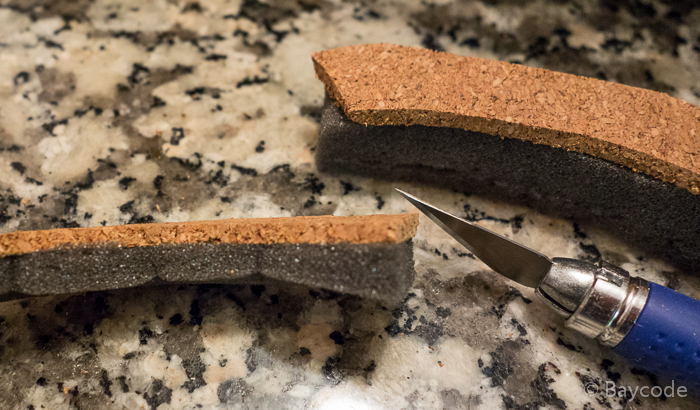 2) Using a flat surfaced scale, remove the current ear pads completely off the base plate. 3) Take the aftermarket ear pads, first insert one end of the pad into the plate, and then gradually slide the edge, along the base plate by using a flat scale. 4) Adjust the ear pads accurately, and fit back to the driver assembly. Sonic Changes: We know that there are two kinds of earcup options available on HM5. There are important and major differences in sonic performance by ear pads on both of these ear cups. So I will explain every combination possible on HM5. Let us see how the ear pads perform on both of these ear cups. Stock Closed Cup with velour earpads, lows are tighter and are well controlled. The overall sound is more airy with increased soundstage. Sounds much more relaxed than the pleather ear pads and provide more neutral sound quality. Increased wearing comfort and ventilation is a bonus. We have to remember that, since these are ventilated, they will leak sound into the surroundings. Apart from that, most of the sonic changes are positive. 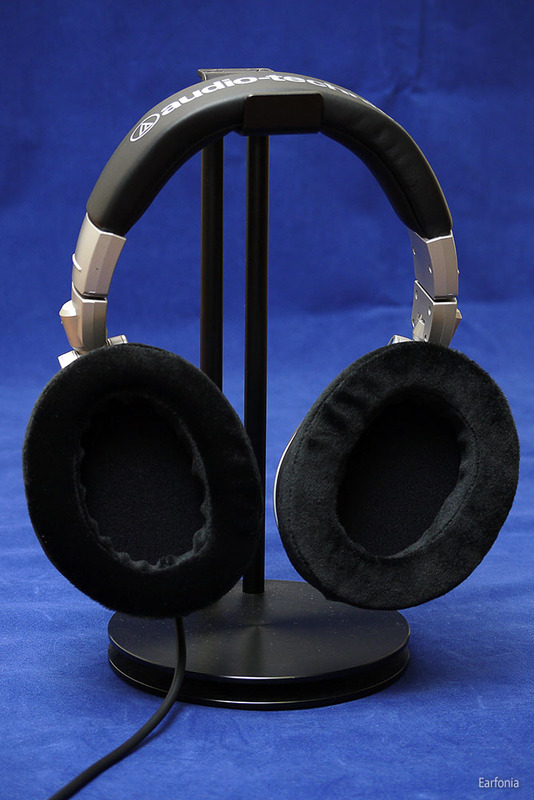 On pleather earpads, Lows are strong but a little boomy, Highs are a touch smoothened, and soundstage feels congested. Overall sounds dark and muddy when compared to velour pads. Although comfort is good, and high level of isolation is achieved by these. 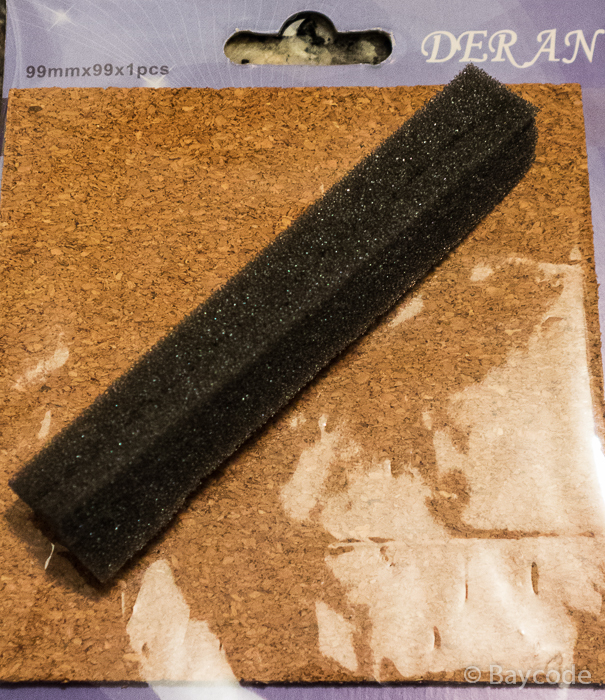 These pads provide much better seal than the velours, and are thicker in width. 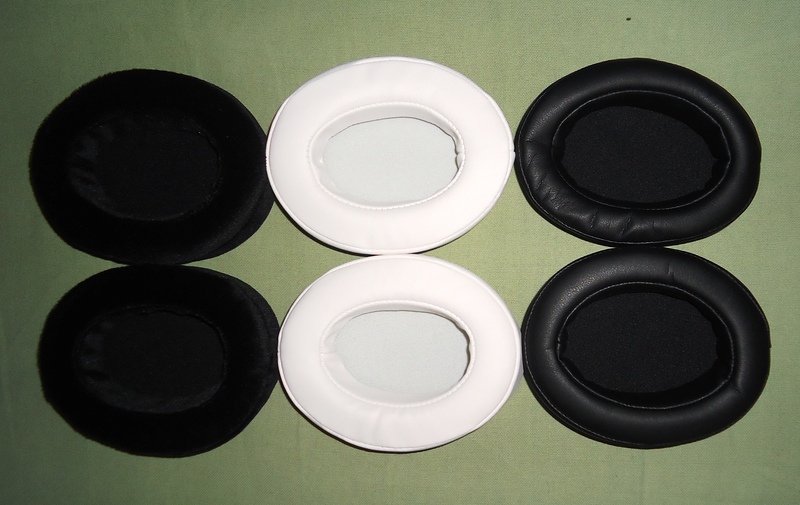 Stock ear pads sound noticeably inferior compared to the above two, and is relatively uncomfortable, due to its thin padding. Semi Open Cup with velour pads, there is too much sound leakage, causing almost nonexistent lows and highs, and bloated, muffled mids. With aftermarket foam pads, which provide better seal, the sound is comparatively more balanced, but still sounded more ‘far’. 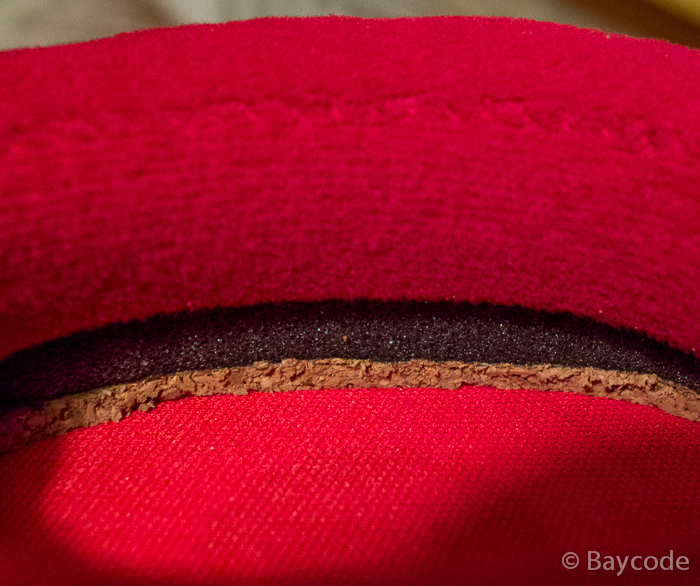 Velour pads are best used with stock closed earcups, and foam pads performed a little better than velours. But still I feel there is a presence of ‘bloat’ and sound feels ‘muffled’, taking away the details. Best match with semi open ear cups was achieved with stock ear pads. I suppose thats due to best seal (flexibility) of the earpads and the drivers being more nearer to our ears, it evened out the ‘farness’ feeling. But the stock ear pads are least comfortable amongst all ear pads. 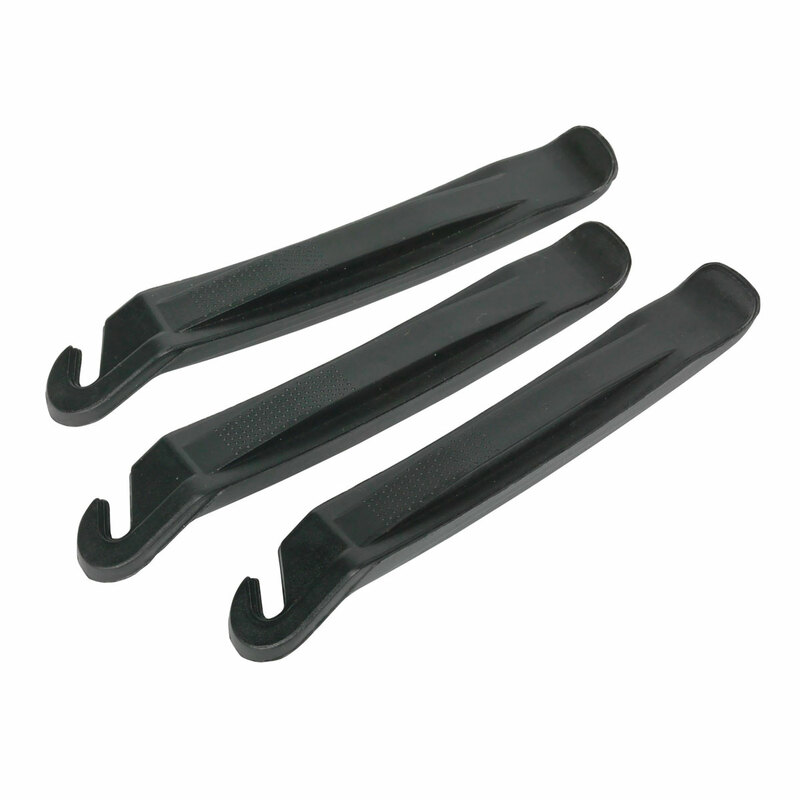 Pleather Pads: These pads are thicker, and give a more pronounced clamping effect owing to already strong clamp of the HM5. Since these do not have any ventilation; they cause our ears to sweat. These are also comparatively more fatiguing to wear because of reasons mentioned above. Velour Pads: Velour pads are widely acknowledged as most comfortable pads available and same holds true here. These velours provide good ventilation to our ears, hence we feel less sweaty and more comfortable. 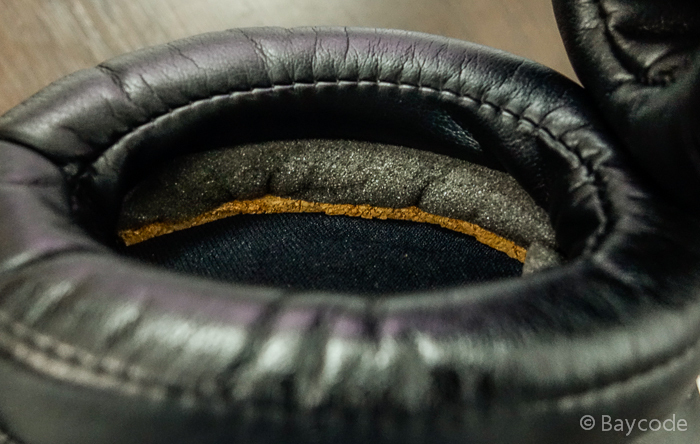 The velours are more cushion-y and thus reducing the prominent clamping on the HM5. Also due to the given air movement, sound coming from velour pads is more natural and relaxed. 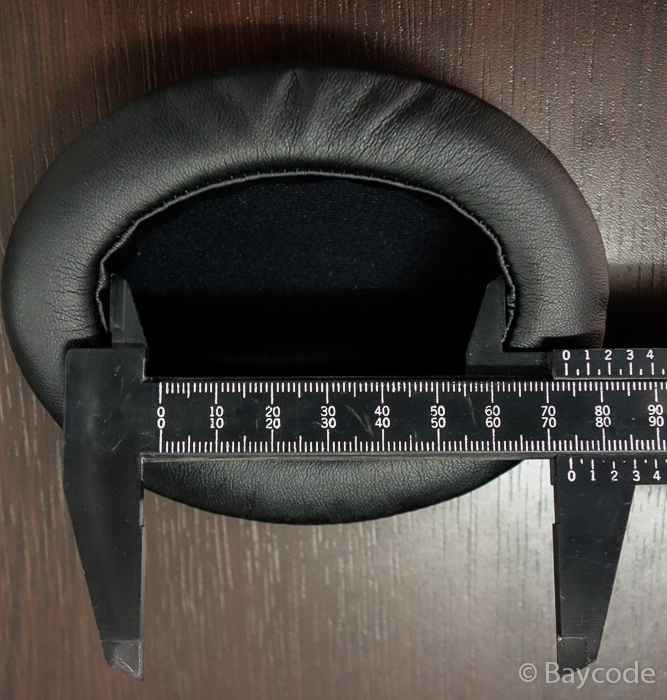 Conclusion: These ear pads have a great value, comfort and sound to them. For those who already own the HM5’s with stock earcups, velour ear pads are definitely worth considering. I did not quite like the comfort and sound of pleather ear cups owing to lack of ventilation and clamp (effects are clearly felt in tropical climate) For enthusiasts who plan to upgrade to semi open ear cups, stock ear pads are best match; hence there is no need to get aftermarket earcups. I would like to add that, semi open ear cups + stock ear pads combination provides the best possible sonic performance in the HM5. 1) Sound: Major Improvement in soundstage, naturalness and tonality on stock ear cups. 2) Comfort: The HM5 is now far less fatiguing and are very comfortable, so one can listen to it for longer sessions on stock ear cups. 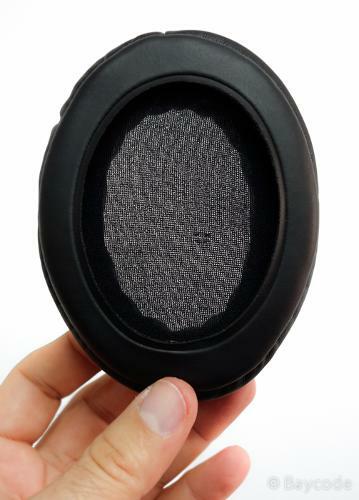 3) Value: These ear pads cost have a very good performance, and are economically priced. 1) Usability: If you plan to get the Semi open ear cups, there will be no need for any of the aftermarket ear pads. 2) Build Quality: The build is good enough, but not great on velours. Stitches can come out and get loosened during installation. But this is really not an issue since these are very economically priced. Audrey very generously sent me two extra pad options to try with the HM5 – a set of velours (black) and a set of thicker coloured pleather (mine are the dark red). The velours are very close in size to the original pads and have equally good comfort and fit. The craftsmanship on the pads is excellent – quality stitching and materials used. My main problem with trying to A/B the pads is the amount of time trying to switch them – I know my sonic memory has the normal human auditory flaws – so please take the following comments with a huge grain of salt. This is what I think I’m hearing – but I wouldn’t swear on it. The velour pads IMO give a slightly airier and brighter presentation with an increase in lower treble. Cymbals seem to have more shimmer and there is more upper energy overall and maybe slightly less bass as well. If you take my earlier comments on bass into account, you’ll probably guess that I’m not a huge fan of the velours with the HM5. For me – just too much upper end energy, and for want of a better word, too much tizz. Others may love this though and at the reasonable price being charged, they are well worth trying. Even more so – if you are modding other headphones (I understand these may fit some Shures and also the T50RP. Moving onto the dark red pleathers, and this time there is more of a physical difference. These have slightly smaller internal dimensions as they are both wider and deeper (more memory foam). Once again, they are super comfortable. Again the same caveat applies re switching times. This time they are a lot closer to the original pleather – but my impression is of slightly more bass (slightly better fit / clamp? ), and to me anyway, they looks lightly better. 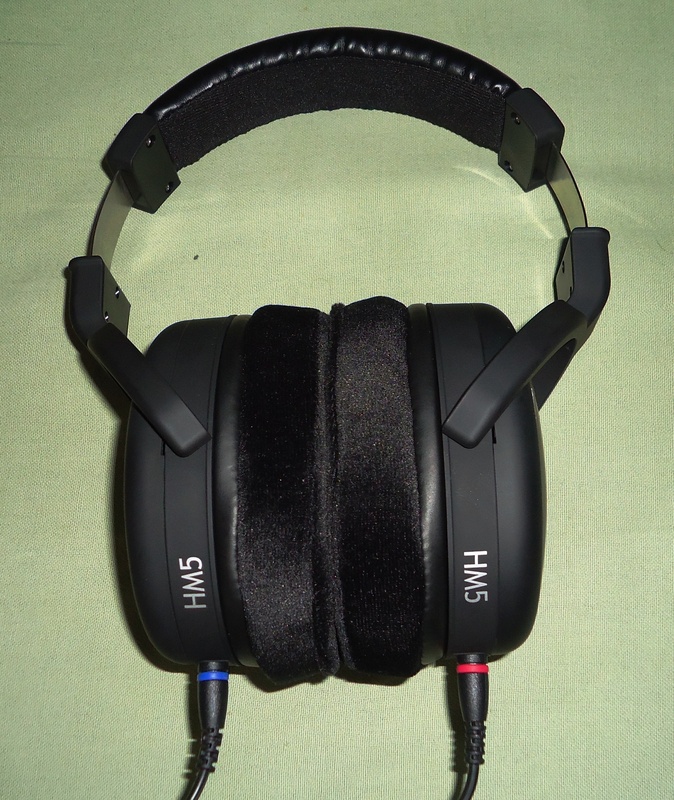 Anyway – they are my current go to with the HM5 – and I really do like them. One recommendation I would give to Brainwavz when selling these would be to consider including a pair of mounting discs. I don’t think it would cost too much extra, but would make it a lot easier to switch pads and make comparisons when using the HM5. I know I’d love an extra pair now, and would definitely be prepared to pay a little extra for the privilege. These have intrigued me for a while, as I’ve often wondered exactly how the HM5 would sound as a semi-open headphone. The cups themselves are slightly rougher in appearance that I was expecting, but I’d imagine that from these shells, you could then sand them to your own preference, and paint them if you wish. They also aren’t pre drilled – just have plastic stubs – so you really have to make the holes yourself if you are intending using these full time. Comparisons this time were slightly easier, as I simply removed the screws, then carefully held the stock “backs” in place, and then swapped the semi-open “backs” (again held in place) to compare. So it involved a shorter time overall changing the cup rear cavities in order to get a good impression of the changes. For a start (once I’d removed the backs), I simply held them in place with my fingertips, quickly listened, and then removed them altogether (completely open). The effect was immediately noticeable with the first change being a noticeably wider soundstage presentation, and less reverb. It was a change I very much liked. If anything vocals sound a lot more natural – less etching. Bass didn’t change a whole lot in overall impact or tonality – just slightly cleaner. If anything the 3D cups sit partway between the closed and fully open. They give a hint of how good a more open HM5 can be – but unfortunately still keep a certain amount of reverb, and for my tastes anyway, strangle some of the benefits of going as open as possible. For a laugh, I removed my HD600 backs, and held them loosely in place (they don’t fit of course). IMO this should be Brainwavz next improvement – an almost completely open (i.e. mesh backed) rear cup. IMO it has better sonic qualities, and would also look a lot better than the 3D cups. They could even use the existing plastic mould for the current cups – just fit a shaped mesh instead of the existing faceplate. I’d buy them tomorrow – and I’d bet a lot of other HM5, Lindy, FA003 etc. owners would do the same. So for now I’m not using the 3D cups – what they provide in sonic improvement is good, but doesn’t go as far as it could, and unless I take the time to “finish” them, they do look pretty “fugly” IMO. One last comment on the 3D cups – because of their increased depth, they don’t move freely under the arms/yokes. Again this could be fixed with an open “mesh” design. Clearly better than the stock. Pros - they have their own SQ, mostly isolation, sound stage and instrument separation is improved. Cons - none for me. We all know that brainwavz do make quality accessories like cases and headphone stands, and recently they have released a couple of replacement pads, pleather (fake leather) and velour style pads targeted towards their over the ear headphone HM5 which are also compatible with some other headphones , most notable ones being the ath-m50\x and most of the shure lineup. Priced close to $20 per pair and available in many colors like black, red, white, brown and a few more means you can chose your favorite color. These are cheap enough to invest on if you want a nice replacement pad for your headphone (see if compatible), and these won’t disappoint with comfort isolation and sonicality too. Now which one should you chose? Pleather or velour, Let me help you. Before that, I would like to thank @Salsera for providing me with these pads, a pair of each type, both in red. 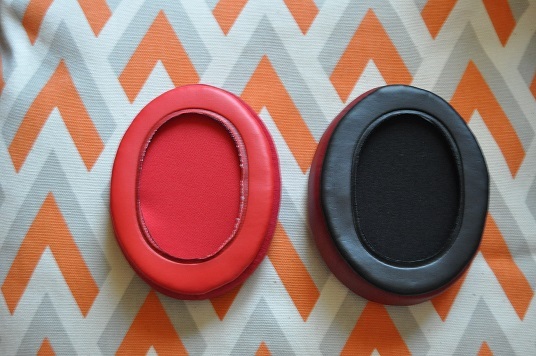 Pleather pads have black inlays, and the velour ones have orangish red inlays. Both are supple and comfortable too. Putting these on my srh440 was not so easy but was easier on M50. I love these pads. Both have their own attributes. I installed the Pleather pad on M50 and velour pad on srh440 and my first impression was, man these are clearly better than those stock pads. Pleather pads are more comfortable, pressure is evenly distributed, and it helps with m50 big time, even more if you think m50 has a bit too much clamping, no pressure on a particular part even when you move your head, but velour pads are not bad too, isolation too is better with the pleather pads, but they generate more heat as they don’t leave much space for your ears to breathe, even if velour pads are a bit itchy (ever so slightly), not as supple, isolation is not par with pleather’s, they don’t generate much heat. With both of these my ears don't touch the drivers anymore. That's a relief, and i can listen to these for longer hours. that is a good thing for long tours and commutes. Let’s start with pleather pads, these are close to double in thickness compared to the stock pads and that affects the SQ, bass is not much boomy anymore, instruments are a bit cleaner, so does separation, sound stage is better too. And suddenly ath-m50 doesn’t sound veiled anymore. Music is more enjoyable and feels like m50 has gained some more sonic ability and now ath-m50 is more likeable. Initially I liked these over the velour pads, because these are more comfortable, and have better isolation. It’s a different story with velour pads. Mostly because they let your ears breathe a bit, like an open seal. Thanks to it bass is considerably thinner, not boomy at all. Pressure buildup is okay, most affected area is sound stage, its bigger then stock and these thicker pleather ones too, it feels like an open back headphone, not par with open-backs but stage is considerably bigger, i just love these pads on my srh440, I love my 440, now I love it even more. Sonics are improved, its more reveling because these pads do give a boost to the highs, mids are more or less the same. Instrument separation is better too. So all in all I like these velour pads for their sound quality. Should I say I love these? Cuz I do. I think these are awesome, clearly improves over the stock ones, and with their own signature, these are just too good to pass on, and and if you own a srh440 and like it (you should but depends on your taste), let me tell you, close your eyes, take a deep breath, and get the velour pads, put the pads on, enjoy. That is it guys, happy new year to you all, have a nice time, please don't drive if you are drunk. 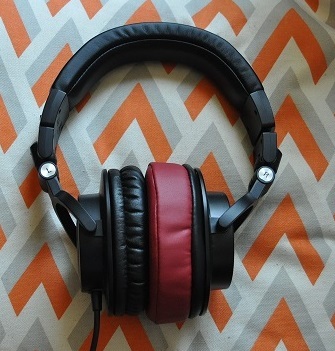 Fantastic, comfortable and good sounding earpads that fits over a variety of Headphones! 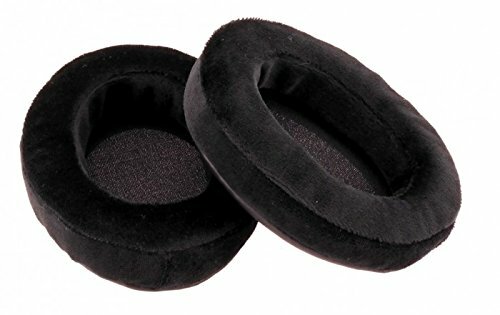 Pros - Fantastic, comfortable and good sounding earpads that fits over a variety of Headphones! Cons - Could be slightly larger to fit easier on a varirety of headphones (other than HM5). With iems you have huge amount of cheap eartip choices to alter the sound and comfort. But when it comes to headphones, especially full size ones, there are not too many earpads "which can deliver good sound and comfort for a reasonable price". 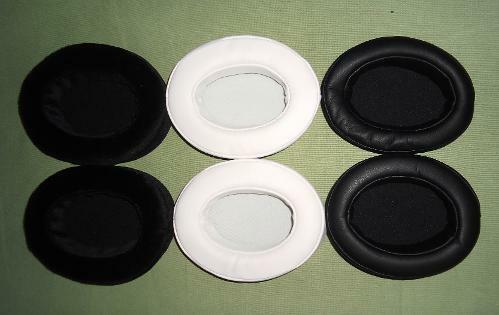 Well, you can get cheap earpads for your Beyer, Fostex, AKG or Philips from e-bay sellers. Some of them really look good quality. I did manage to buy some of these earpads in the past. 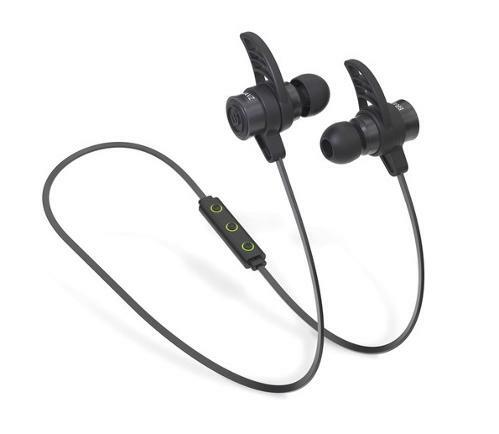 They were nearly at the same price level of a Brainwavz HM5 earpad or slightly cheaper. But what I loose were the sound quality, build quality and comfort (TBH I can't speak for all of my purchases but 90% of them turn out to be lemon). What Brainwavz excels with the recent HM5 earpads are the comfort and sound IMO. They have memory foams which you can not get at this price point and also they have very soft and friendly to skin velours. Their faux leather earpads are also excellent for the same properties. I generally don't prefer pleathers because they make me sweat. I did some mods on my headphones last week and wanted to share my opinions about these earpads with some photos. Edited: Scroll down for more pleather impressions with pics and earpads measurements in milimeters. First I have tried the black velour BW HM5 earpad with my Fidelio X2. It was slightly hard to fit for me but I did manage to fit it without any flaws. 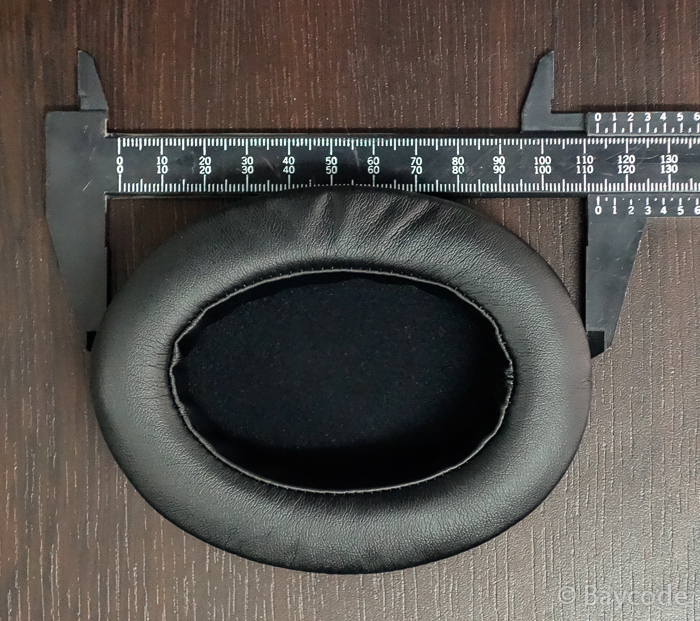 Comfort: OK, I didn't expect it BUT BW HM5 Velour earpads are more comfortable than the original X2 earpads (IMO). Yes unbelievable but true! I never thought something to be more comfy than the Fidelio X2 earpads but I was wrong. Is the difference huge? No, but anyone who is very very picky about the comfort may prefer the new HM5 memory foam velour earpds. 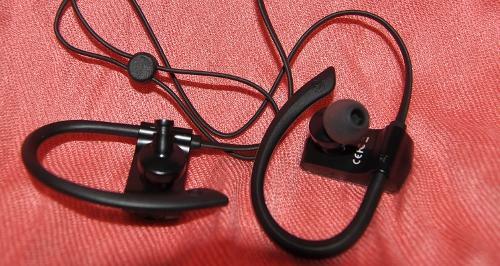 Also the depth (the space inside the earcups after wearing a headphone) is very similar to the X2. How about sound? The new memory foam HM5 velour earpads sounds nearly the same with X2 earpads which I found extremely good. The only difference my ears could detect is the bass section. It is slightly softer after the HM5 velours. 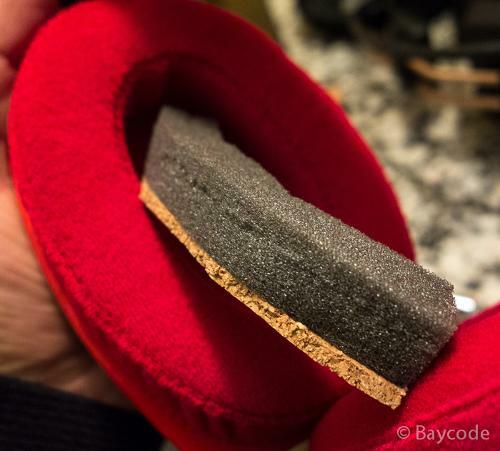 You can always make a cork-sheet mod on the BW HM5 velour earpads for to get better bass on the X2 (mods explained on the below, there may not be a foam attachment on the cork-sheets for X2 though because the drivers are already angled). But I haven't tried the mod on X2 yet, so keep my words as a "thought" only. In the end I prefer the original X2 earpads sonically (slightly better to my ears). But some mods on HM5 earpads may make them equal or may be better sounding. 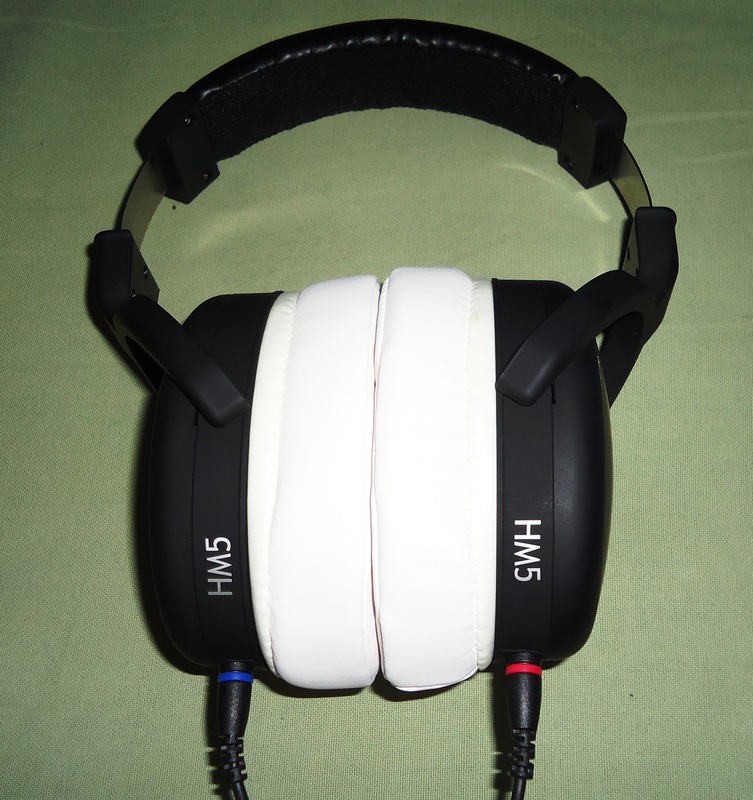 What I can advise to any X2 user is to get the new HM5 Velours for a spare earpad or for modding. It is definitely worth it and there is no need to wait for Philips to produce the spare X2 earpads! Philips Fidelio X2 fitted with new Brainwavz HM5 memory foam, velour earpads (black). 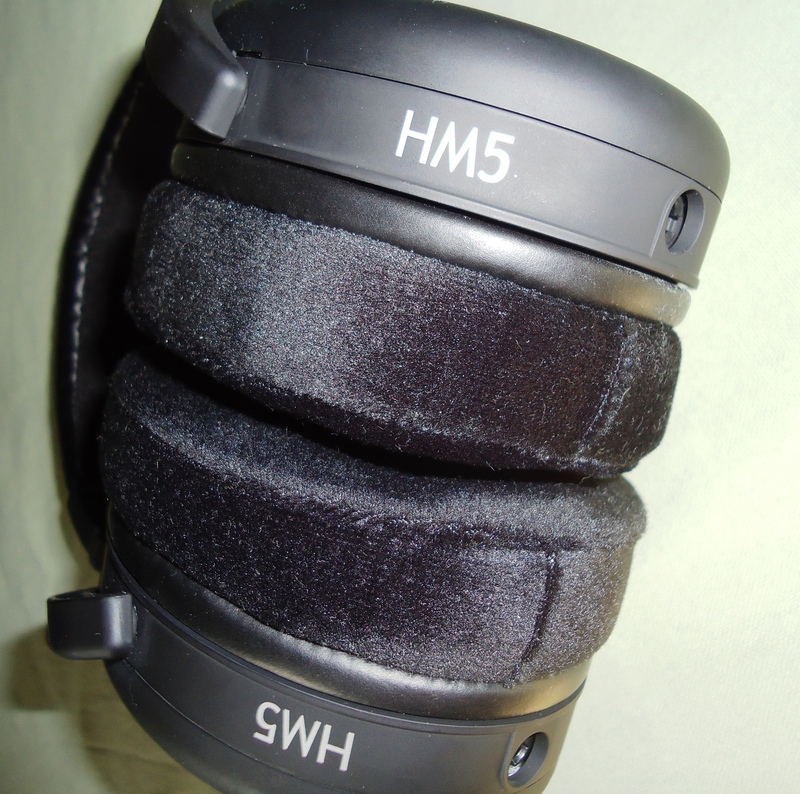 but with a small modification on the HM5 earpads they will become excellent (explained on the above text). I have very difficult times while attaching the HM5 velours on the DT150. I used a bicycle tire lever to fit the earpads on this German tank! So how is the comfort and sound? Comfort is excellent. Nothing to complain about. Sound is nearly the same (I was not expecting a better sound) as the original earpads but the bass section became softer now and the soundstage is slightly more open. I did a mod for the earpads to get better bass response and increase the soundstage a little more (explained on the below). My mod made the earpads a better sounding one. Beyerdynamic DT150 fitted with new Brainwavz HM5 memory foam, velour earpads (red). I have used these 2 materials for earpad modding for my DT150. 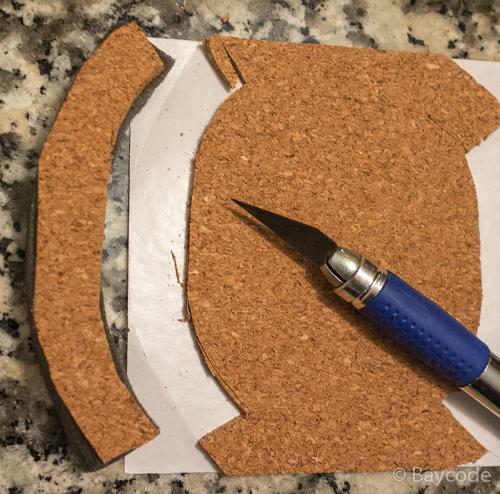 I cut the cork-sheet and foams by the help of a sharp model-cutter. easy because the cork-sheets that I use already have double sided tapes on their surfaces. -under the earpads (see the pitcures). After the insertion and positioning the Cork-foams. Cork-Sheet facing down (facing the diaphragm side). Normally DT150 looks very "ugly" to me. 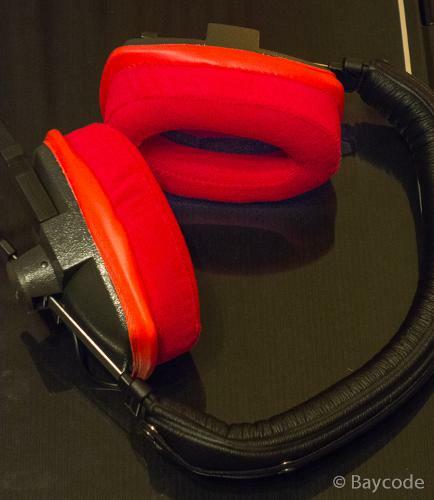 I like the red color earpads on these! After achieving a slight angle by the help of the cork-foam mod, I have slightly better soundstage and also bass is tighter now. But anyone who likes to keep the original bass response of the DT150, choose pleather over the velour earpads because velour softenes the bass slightly. And for anyone who needs slightly less bass response can go for the velour HM5 earpad. I have replaced the velours with pleather HM5's and bass goes deeper now. I have used the same inserts explained before. Definitely improves soundstage and general sound quality. Many people used HM5 earpads on their Fostex T50RP's. There are dozens of information about the fitting, comfort and sound inside the T50RP threads. 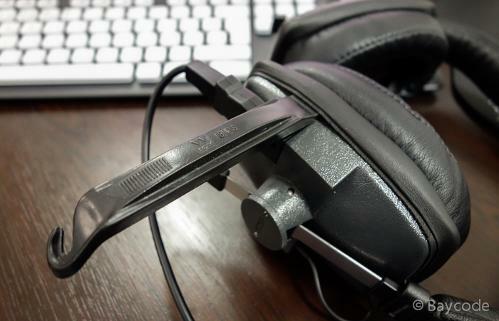 I have tried some mods and fitted the BW HM5 velour earpads on my T50RP as well with very good results. I have to re-mod my T50RP and lessen the inner cotton and fabrics to get better bass response though. 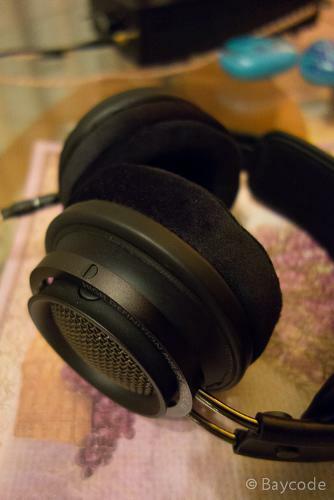 Any T50RP modder should investigate HM5 velour or pleather earpads for their T50RP's as a budget and excellent sounding (and comfortable) earpad solution. Thanks for my friend @peter123 for sending me the necessary modding materials! Brainwavz HM5 velour earpads which I found extremely comfy. Fostex T50RP sounds much better to my ears with pleather HM5 earpads Better bass, compared to velours. Inside look for the pleather HM5 pleathers. Close up of X2 fitted with HM5 earpad. 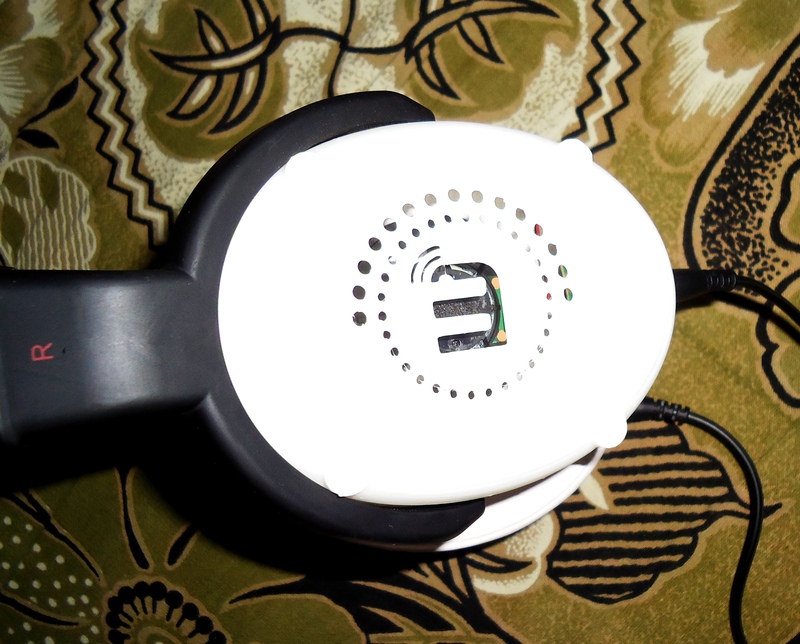 Close up of X2 fitted with HM5 earpad (other earcup). Close up of X2 fitted with HM5 earpad (inside). 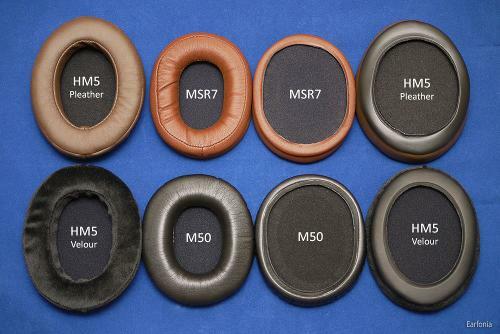 Velour and pleather HM5 earpads. Below, some measurements. Please line the "0" for to see the correct value (in mm)". large earcup (shell) design headphones like Beyerdynamic DT150. If I didn't use the above mentioned technique I could have very hard times. Bicycle tire levers (note, plastic type) that I used for mounting the HM5 earpads on various headphones. This is the safest method I came to conclude after tearing 2 aftermarket earpads (not Brainwavz brands). 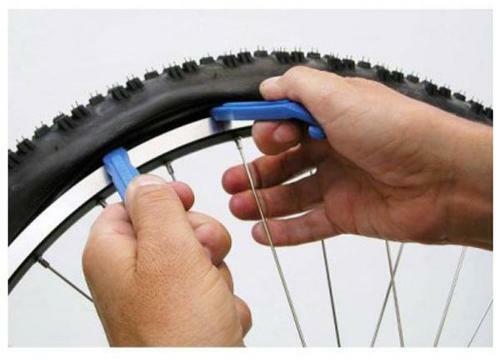 The same technique is used for mounting the earpads as unmounting the tires. my left hand to fix the position of the earpad above the headphone housing (shell). If you have someone to help you on this process I believe things can get easier. I highly recommend the memory foam velour and pleather HM5 earpads to any headfier who needs a budget and excellent quality spare or erapads for modification! 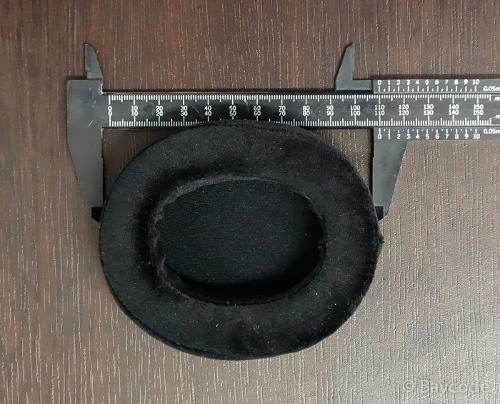 And I have a recommendation for Brainwavz as well, please make these earpads slightly larger (or a new generation of model earpads with a slightly larger diamater) for easy fitting on a various full sized headphones. 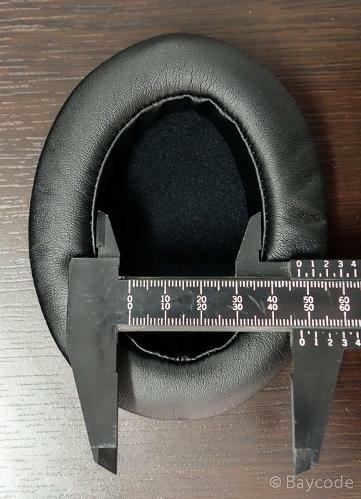 I don't have a Brainwavz HM5 headphone, so I cannot give any information about the fitting to the headphones that the HM5 earpads were originally intended to use with. Acknowledgements: Thanks for Audrey from Brainwavz for sending me these great ear-pads. I have received all the new memory foam HM5 earpad versions from her! AlteredCarbon, chrone, bosstonez and 1 other person like this. Wish they made something like this to fit Sennheiser HD 600 / 650. Genuine factory replacement pads are something like 60 bucks per pair, which seems close to highway robbery. I have answered your question in the X2 review page @Mr Trev but wanted to give an input here too (for benefit of some others). 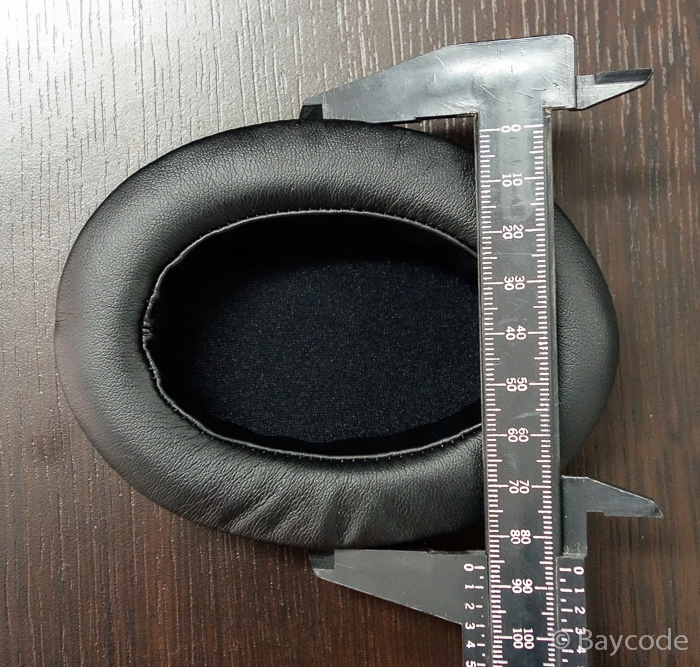 HM5 earpads sits directly on the cups but fitting is tricky (not easy). But, by the help of a plastic tire lever "the job is done". I hope Brainwavz is listening @guildenstern, because their earpads are great but we need more different models to fit variety of headphones. 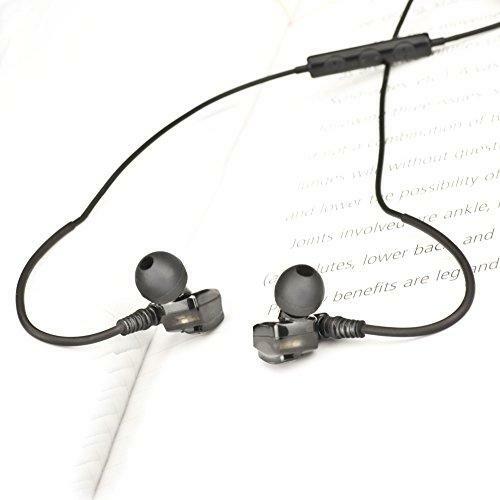 Pros - Comfortable, fits nice in the ear, compatible with many over-ears headphones that shares similar shape [see the incomplete list in the review]. Headphone pads plays an important role. Not only does it affect the comfort of the headphone which affects our mood while listening. It also plays a role in sound quality. Comfort wise, for on-ear, we can only hope that the pads are not too stiff and the clamping force of the headphone’s design is not too tight as if it is going to decapitate your head from your body. Same can be applied to over-ears. The perfect, comfortable pads for an over-ear should have a good depth that keeps our ear far enough from touching the driver and enough room for it to breathe. This is especially essential for leather/pleather design as less air will be entering since it offers tight seal. The pads should also be soft so that it don’t feels as if our ears sitting over rocks. The height and width should also be wide enough for the ears to sit perfectly inside. Lastly, durability should last for a long period of times. Typical problems of some stock pads is that, it gets stiff or worn out after some time. Due to clamps, some pads gets thin after sometime. 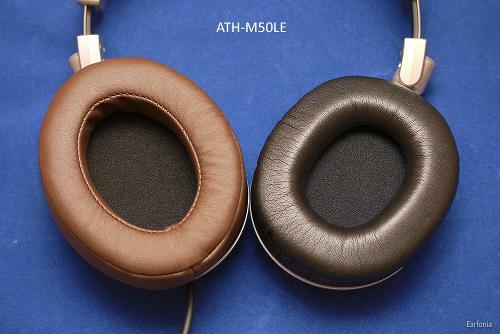 My friend’s ATH-M50 is possibly the best example…yet. Its only two years old and the pads is already pancake thick now, maybe slightly thicker than a single pancake but still! I can’t wear it for more than 15min without feeling sore. The pads also got stiffer and is less lightly to isolate well than it is before. Not only do ATH-M50 have such issue, many pleather pads I have come across have these issues. 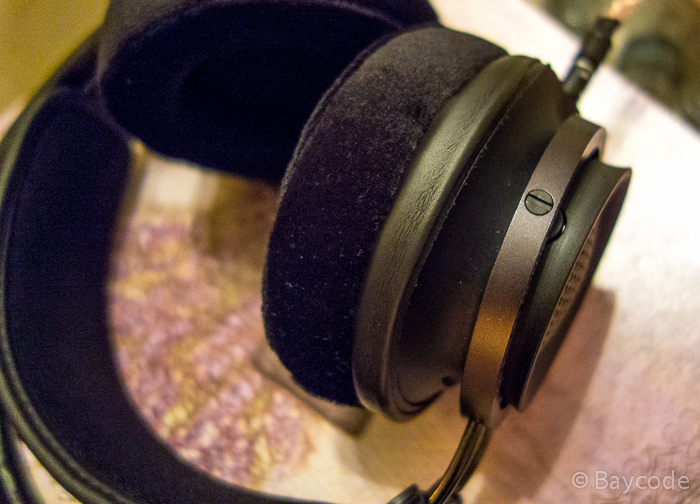 For that, I will highly recommend the Brainwavz HM5 extra thick pads. Both leather and velour. Size and shape wise, both share the same characteristic with exception of the external material. Obvious, leather and velour respectively. Brainwavz added few more additional colors to maximize flexibility when it comes to color matching. Bear in mind, the thick pads are not the same as the stock pads as the HM5. Leather extra thick pads is available in black, dark red, red, brown and white. Velour pads are now available and come in red and black. 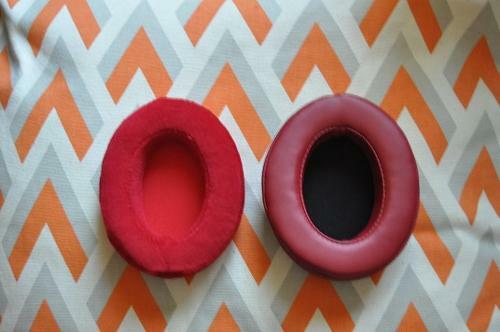 Huge thanks to Audrey of Brainwavz, I got a pair of red velour and a pair of brown leather thick pads. Both are extremely, extremely [x10] comfortable. There’s literally nothing more to beg for. Both pads are pillow soft, and feels so well-tailored that you don’t have to worry about durability. Not only is it pillow soft, the advertised “thick” my mean, very thick in-depth, width and length is all there. You must have an elephant ear if your ear does not sit perfectly inside the pads. 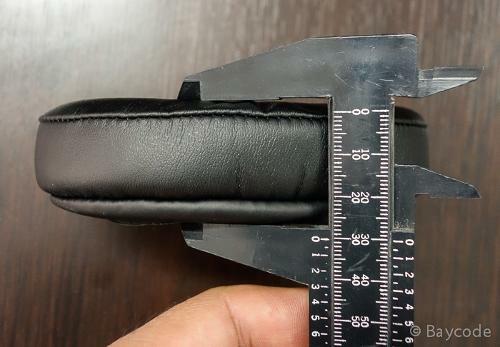 I took a ruler and measured the leather pads depth, it's about 2.2cm deep, inner[where the ear will be sit within] length: ~7cm with inner [again, where the ear will be sit within] width about 4.5cm. With such comfort, I can wear the headphone for a long long period of time without fatigue. 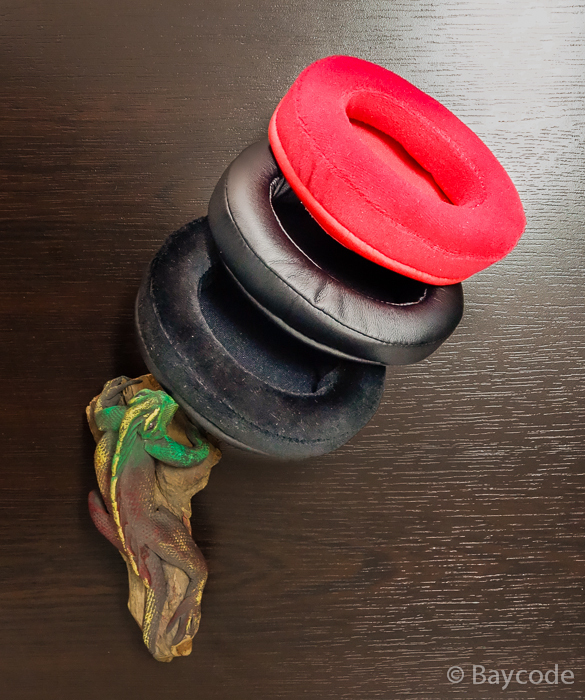 In fact, if the headphone is lightweight itself, the pads may in fact, allow you to wear it forever. The thick pads comfort reminds me a lot of the long gone Sony MDR-XB500. In fact, both, the thick leather and velour pads are made of foam. 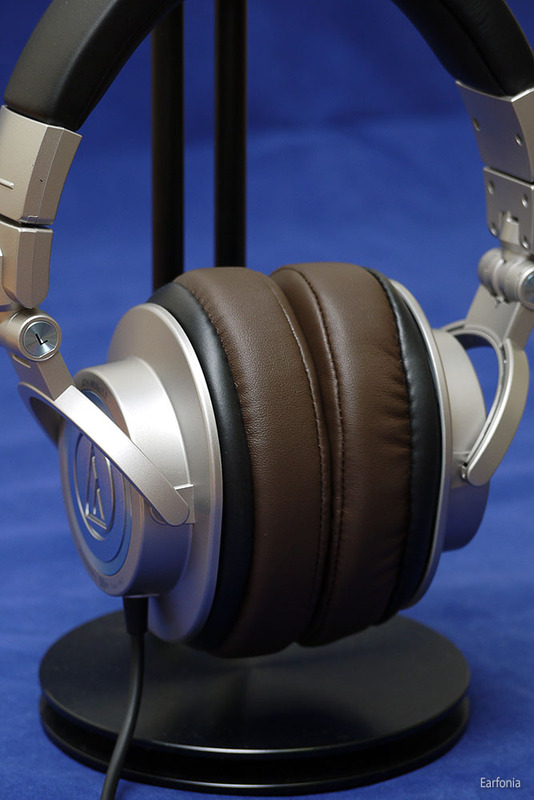 The Brainwavz HM5’s pads are widely used in Fostex T50RP mods because of their comfort. The thicker pads should too, do the trick. These two Brinwavz pads are now available on MP4Nation for $22.50 per pair on here[leather] and here on MP4Nation [velour]. As for leather or velour pads? It all boils deep down to usage, and the headphone itself. 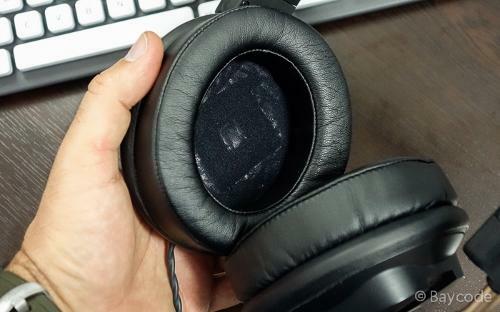 If you are currently using a closed back headphone and you do not wish to ruin the seal, the leather pads will be a better choice otherwise, for open back, if you wish to maintain the openness of the sound, stick with the velour. It is also worth noting that, the leather pads offers less soundstage but more bass and body in comparison to velour pads. This often applies to all leather and velour pads. Design-wise, Brainwavz set out to make these ear pads more comfortable than ever before. Not only did they increase the thickness (depth) of the pad, they are now using memory foam that comfortably conforms to your head. For those that would like to add some personal flair to their cans, Brainwavz is also offering the HM5 ear pads in all new colors. The pleather version now comes in black, red, brown and white, and the velour version is available in black or red. 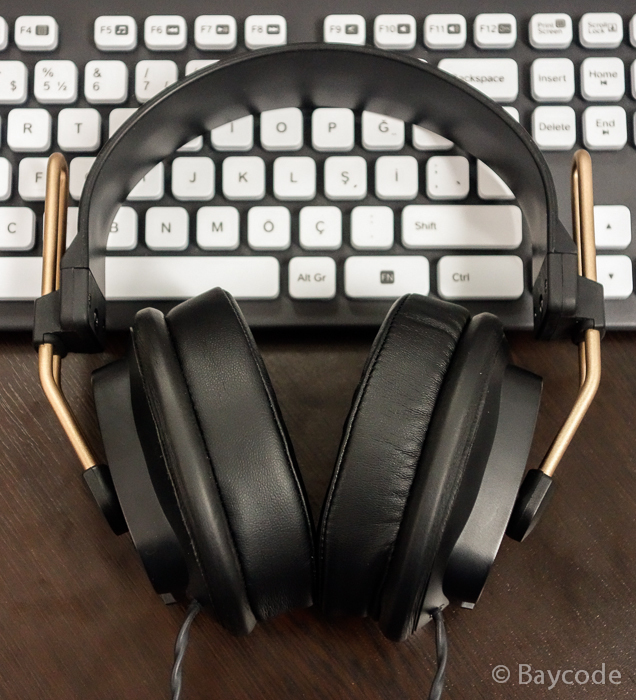 If you’re a regular reader of mine here, on Instagram or Head-Fi, you already know that I am a happy owner of the Shure SRH840 headphone, that I use it daily at work, and that I’ve madesome mods to it to increase the comfort for all-day listening. So naturally, I wanted to try these pads to see what comfort or sonic gains could be made. Thanks for the review. I have a set of these coming. 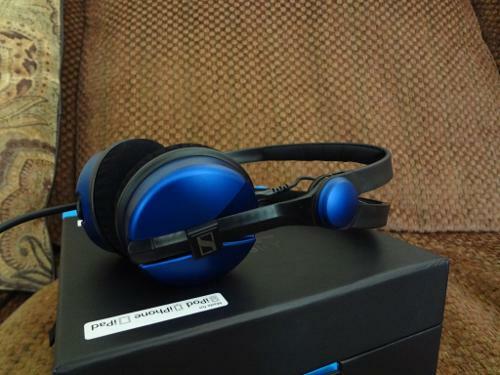 I have the SRH440 headphones that I have experimented with. The 840 pads are by far more comfy than the stock pads on these, but after reading your review I took the old pads and slid them in on top of the other pads to simulate the increased distance from drivers to ears. All I can say is Wow! What a huge improvement in terms of opening up the sound stage. Much better highs and lows. Looking forward to receiving these HM5 pads. Thanks again. Cons - Obviously don't fit every headphone. Pleather pads can be hot. May alter (sometimes for the better) sound signature of 'phones. Thanks to Brainwavz for this review set of pleather and velour replacement pads. I bought a pair of the pleather models a year or so ago in an effort to make my wife's JVC S400's more comfortable and improve the soundstage. They did that but weren't a perfect fit for her 'phones. Still she uses the pads and wouldn't ever go back to the stock pads. The newer version is thicker. seems a little better constructed and seem to stay on her JVC's better (still not perfect but a definite improvement). Sound is quite similar and MAYBE being thicker slightly enhances the soundstage a tiny bit since the drivers are a little farther from your ear. What did surprise me is how much I like the velour model. Extremely comfortable. Perhaps a little less bass but a lush beautiful soundstage that makes this headphone sound almost like an open back 'phone. I also, on a whim, tried the pleather version (old and new) on my beat up old Bose QuietComforts and found they fit very well. The pleather isn't quite as soft as the OEM (could be because the OEM is old and broken in). You owe it to yourself to try these pads if you're looking for replacement pads. Good job Brainwavz. Many have posted pics but I'll post a few of their fit on these two phones if anyone is interested. Oh, and they have some great new colors. These pads are breaking in really nicely. Some of the most comfortable pads I've used. Brainwavz knocks it out of the park! 1. Comfort: Both the pleather and velour pads are exceptionally comfortable. The memory foam is quite soft and pliable and distributes weight very well. Even though the Brainwavz HM5 is a bit of a clamper, the lightweight and soft design of the pads alleviates most of the discomfort making these great for long listening sessions. Velours: Compared to the pleathers, the sound is a touch more neutral. This may be a weird statement as I consider the HM5 a pretty neutral can as is. Here's the reasoning: A little bass impact is lost coming from the stock pad, but that's to be expected as velour is gonna be more porous than pleather. On the Snarky Puppy and Amy Winehouse tunes, the kick drum loses a little slam, but certainly nothing drastic enough to cause any dislike or feeling of bass lack. It also bears mentioning in the same way, the velours can take a little more volume to achieve the same levels as the pleathers. Once again, a little more sound leak is the culprit. Pleathers: As aforementioned, the most noticeable difference coming from velours to pleathers is bass quantity and sound leak. Pleathers seal a little better and therefore don't have to volume up as much, and retain a little more bass impact. Upon second listening, I also venture the idea that the pleathers have a slightly smaller soundstage than the velours. Maybe for the same reasons? 3. 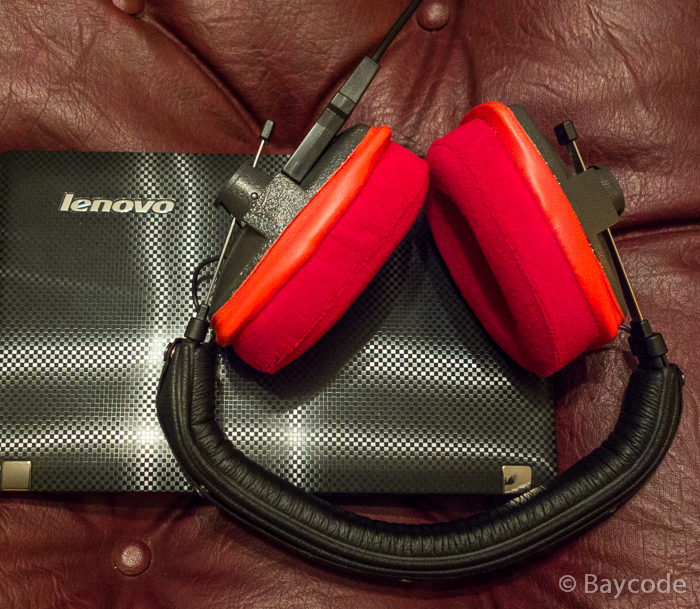 Adaptability: As you can see in these pads' review section title, they fit a ton of over-ear headphones. Even those that don't natively have the same cup shape as the HM5 (i.e. HE500, DT880, MDR V6, even Grados!) are being fitted all over head-fi with mixed results. The only variation I'm able to try is on the Sony MDR 7506. The fit is a little unorthodox, but they will stay on. The velours don't play as nicely as the pleathers, which add a little bass impact and open the soundstage since the HM5 pads put more space between the ear and the driver. Maybe when I grow to be a bit more adventurous in my DIYing, I'll try adapting them to my HE500s. All in all, I'm totally digging these pads from Brainwavz. To me they are the most comfortable pads I've ever used. That's saying something as the DT880 and Focus Pads are both pretty dang comfortable. 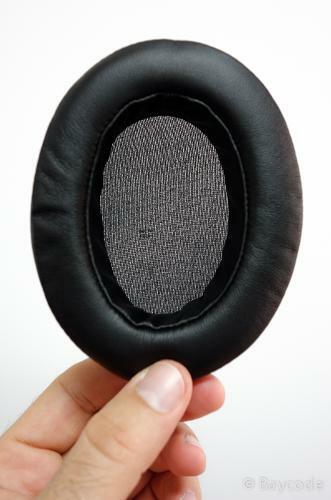 The sound changes are minimal when used with the HM5, but if searched, head-fiers form all over have reported lots of sonic changes when using these pads for other headphones. These have become the first pad I recommend to users looking to replace stock pads on over-ear headphones. Many thanks Brainvwaz! Big thanks to Brainwavz for loaning a pair of both the pleather and velour pads for this review. What headphones do they fit? If, like me, you started off years ago with a headphone like the ATH-M50 and after some serious use realized that the earpads are no longer in their ideal condition, then these HM5 replacement pads from Brainwavz are for you. 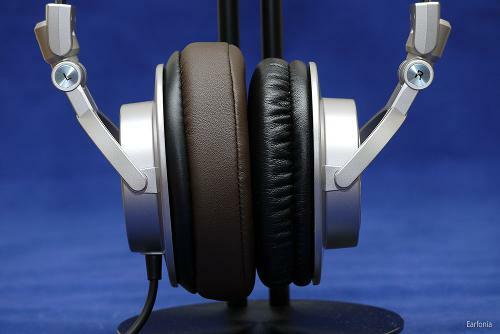 They fit beautifully onto the earcups of the ATH-M50 and with a little effort they fall into place. Having a great fit is a must to achieve the same seal and comfort as the stock pads. These replacements pads do just that! The pads come in four colors: Black, Dark Red, Red ( seen here ), Brown, and White. The colors are fantastic, the stitching is also very well done with no signs of quality control issues. As seen in the pictures the pads are a bit larger than the stock ATH-M50 pads providing more ear room and a softer feel around the outer ear. The HM5 pads are also thicker which will be a great change for those of you wanting more depth in the earpads. For travel I recommend the pleather pads to provide a better seal and block out some of the noise. The velour pads come in the black and red. They also provide you with a little more comfort than the pleather pads by removing some of the heat build-up from around the ear. The velour pads are an excellent choice for long listening sessions. The thicker pads change the sonics slightly, but not enough to distract from the overall sound signature of the ATM-M50. The bass is the obvious region of the spectrum affected. It is slightly thinner and less punchy perhaps due to both the seal around the ear and the proximity of the driver to the ear. 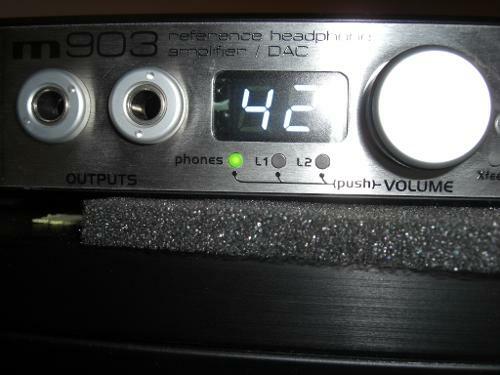 A slight compression of the replacement pads while listening reveals that the bass can be enhanced with little effort. This indicates that the acoustic seal is not the same as the original pads. I found them more than adequate and suspect with a little age the bass will fall more in line with the original pads. 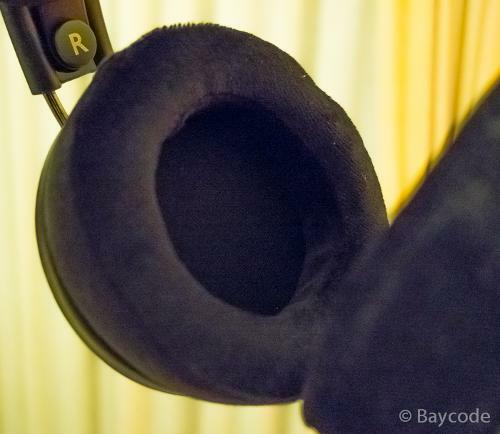 Many great headphones like the beyerdynamic DT 990, Sennheiser HD 650, and even the AKG K712 Pro utilize velour pads. Velour typically provides an open seal around the ear which if coupled with an open driver resonator design provides a more airy presentation. It allows the air to couple to the ear differently than a sealed / leather earpad. You should expect more treble and less boom in the bass. The HM5 velour pads follow this expectation perfectly. These pads work wonders if you are sensitive to bass or pressure build up. If you are looking for a colorful replacement pad for the HM5, ATH-M50(x), or even the SHR440 the HM5 replacement pads from Brainwavz are an excellent choice. They are well made, very comfortable, and do not add any unforeseen acoustic problems. 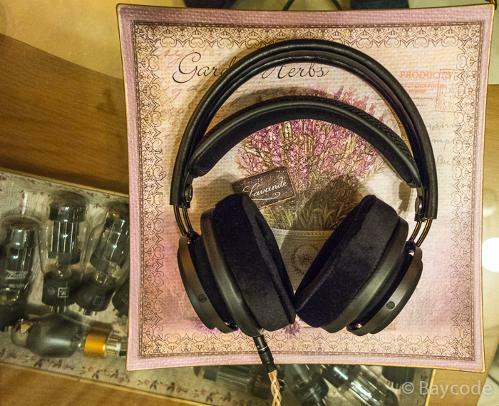 The leather pads seal and provide more bass than their velour counterparts. The velour pads are more comfortable for hot listening sessions or where more treble focus is desired. Both remain a simple and inexpensive way to tune the listening experience. For the record, as of January 2015, the HM5 pads are being sold in pairs for $19.50-22.50 (depending on the site) and the thicker memory foam variety, no more non-memory-foam pads at $8.50 each individual pad or individual memory foam pads for $11.50 each pad. Just in case any were wondering if $8.50 meant each pair, or wondered about the recent "increase" in price.